Amidst the recent Trinitarian flare-up, I have not seen many dropping Karl Barth's name. That isn't really surprising given 1) the complexity of Barth's Trinitarian theology and 2) Barth's relative lack as a name to tack on in a conservative evangelical discussion. What follows will add nothing to the Trinitarian discussion. It's merely an opportunity for me to recall some Barthian concepts and criticisms — you all have been waiting for me to say Barth was wrong right? Karl Barth's theology is unique in a number of ways. One of the more blatant is that it has two or three popular takes on its "history" or stages of development. 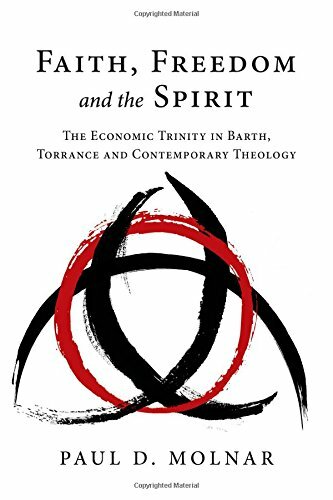 Almost none though agree that Barth's Trinitarian theology in the early portions of Church Dogmatics fits seamlessly with his later enumeration. While the early volumes deal with the Trinity directly under Theology-proper, Christology in light of redemption occurs much later. Molnar believes Barth deserted his own descant "God is who he is in his works but not only in his works" (330). In so strongly desiring to stress "that the obedience of the incarnate Son acting for us is an act of God himself," Barth stumbled needlessly into "obedience within God's inner life" (333). Molnar critically states "missing in Barth's presentation at this point...is any account of perichoresis" (335).